THEY say you reap what you sow, and two Bundaberg doctors are breaking norms to keep their medical students as happy as pigs in mud. 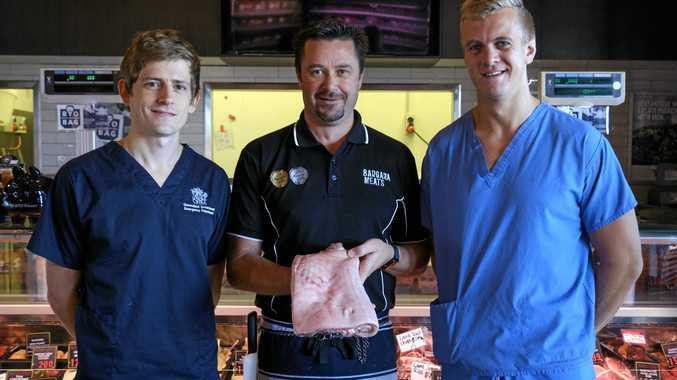 Luke Render and Alex Fawdry moved to Bundaberg from the UK almost a year ago and, inspired by their own training back home, have partnered with Bargara Meats owner Daniel Sauer, in the spirit of medical training. The emergency doctors double as associate clinical lecturers at the Rural Clinical School, which is an extension of the University of Queensland located at Bundaberg Hospital, and will incorporate animal off-cuts, mostly pig skin and tendons, to educate students. "We're doing lots of suturing and stitching, and we thought for the rural clinical school it'd be a good idea to set up a bit of a course in basics of getting to know how to do it,” Mr Render said. 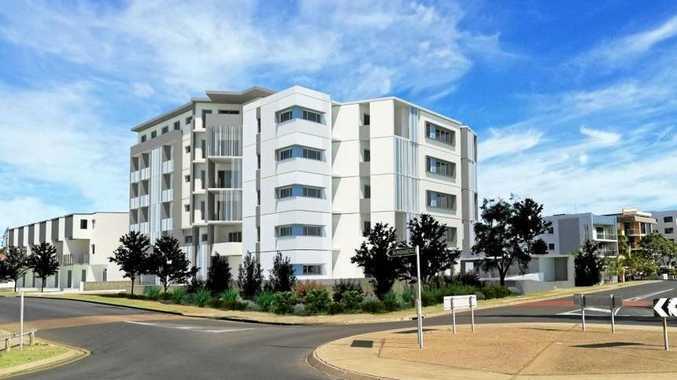 "We thought it'd be quite nice to provide that for free to the medical school and give them something they can access whilst here in Bundy that might be helpful. The butchery will keep and freeze the animal skins to help the medical students learn the art of stitches and suturing. "Pig skin is very similar to human skin, especially when it's at room temperature and warm like the human body,” Mr Sauer said. "It's very similar because it's got the same sort of characteristics. It looks the same and feels the same. The course is set to begin early next month and Mr Fawdry said it will provide extra opportunity for the 20 to 30 attendees to gain useful skills. "The medical students come out in their third year so they haven't had a lot of clinical practice,” he said. "They come out here to work rural, and then get sent out to areas like Biggenden and Monto where there's then a doctor and they get kind of thrown in the deep end and are expected to do a lot. Mr Fawdry said the extra materials being provided by the butcher would allow them to teach more specific procedures. "Not only can we teach them suturing but also other basic procedures,” he said. "Obviously you have a lot of issues with skin cancers and things here, so we do a lot of removal of lesions and draining abscesses and we can teach them things like that rather than just those basic suturing skills. Surprisingly, this isn't the first time the butcher has worked with a medical profession for educational purposes, after a Bargara dentist asked for pig heads to study teeth and jaw structure. "You'd be surprised how many people do it, you just don't see much of it,” Mr Sauer said.